Radiohead have just shared a new video for their track “The Numbers.” The track as it appears in the video is a bit different than the one that you can hear on their new album, A Moon Shaped Pool. 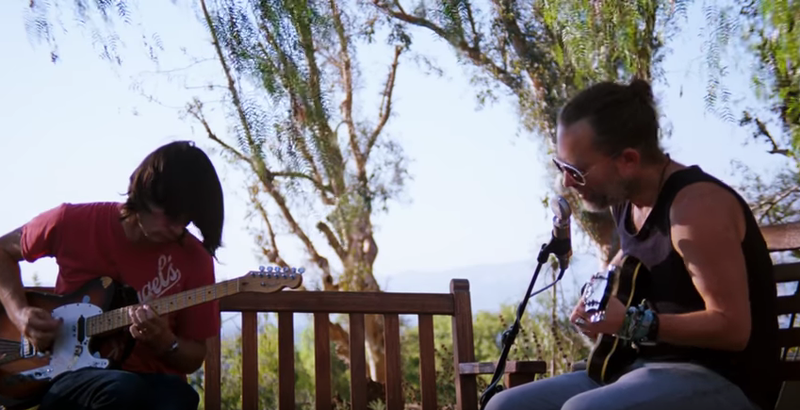 The clip was directed by Paul Thomas Anderson and shot in Tarzana, California, and depicts Thom Yorke and Jonny Greenwood performing the song together with a Roland CR-78 drum machine. At the end, Greenwood shuts off the drum machine and Yorke says, “probably.” What does it all mean? We don’t really know, but it’s a cool video regardless of the mystery. Previously, Anderson directed the video for the band’s single “Daydreaming,” released earlier this year, as well as “Present Tense,” which had a similar concept. Watch the Radiohead “The Numbers” video below. Read our feature, Greatest Hits: The best Radiohead songs.